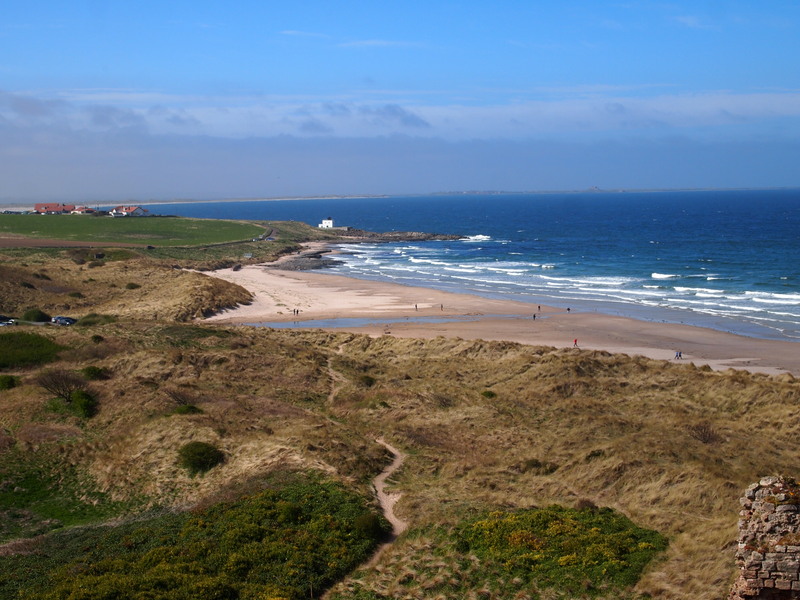 Dotted across the coastline of the north-east coast of England lies a 10-mile stretch of fortresses. 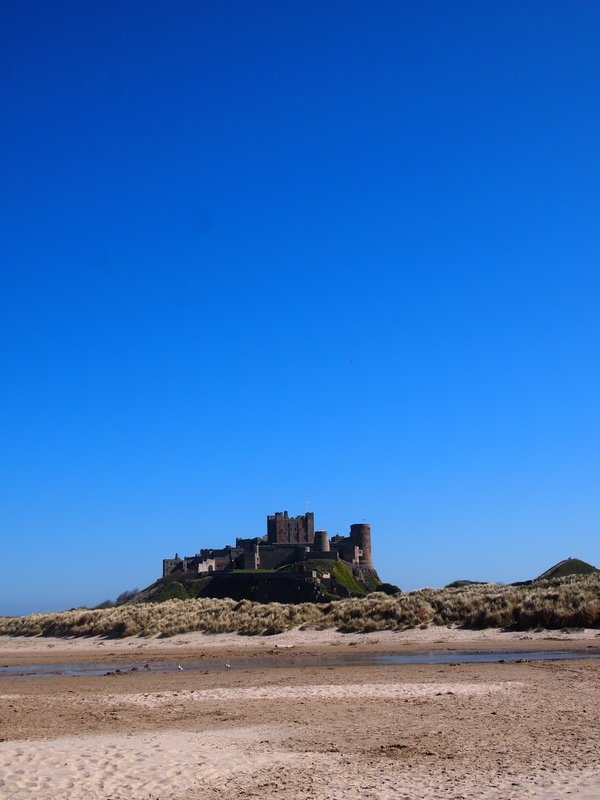 An ideal day trip from Durham, Newcastle or Edinburgh, Bamburgh Castle is the pièce de résistance towering over the area. Built on a rise, overlooking the large stretch of beach and coastline, the Castle stands subtle, blending into the countryside, yet as a clear stronghold both non-threatening and unwavering. Formally the capital of Northumbria from around 1160s through to the 1770s, the area has been inhabited for over 10,000 years. 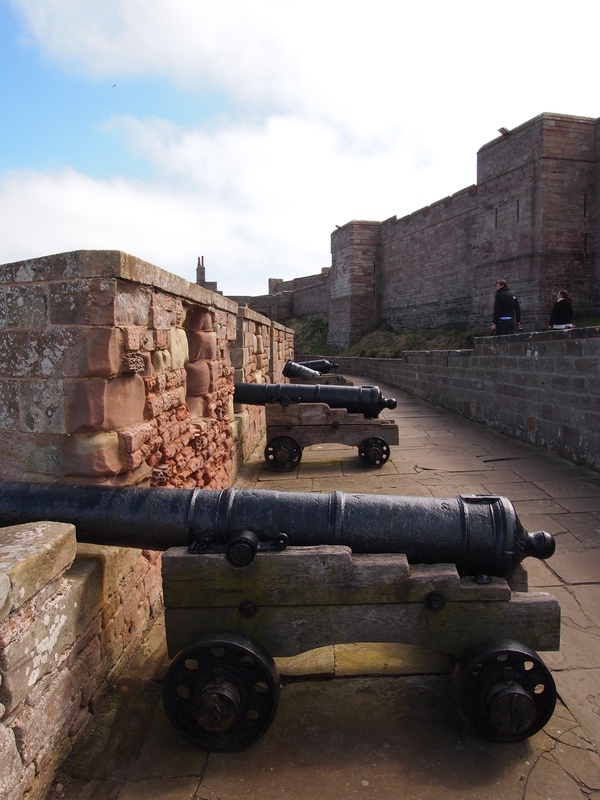 A fortress under threat during Napoleonic Wars, Bamburgh protected the region thanks to the cannons flanked around its edge. As Britain’s involvement in war died down into 1610, the Castle was handed over from the Royals to the Forster family, transitioning to complete private ownership. The Castle was obtained by Lord and Lady Armstrong (distant relatives of the Forster’s and Victorian industrialists) who, from 1894 rebuilt most of the original structure as it stands today. It is clear to see where, how and why the renovations took place between inhabitants. With little use for dungeons, watchtowers and servant quarters into the 1900’s these spaces were developed into kitchens, additional storage and display rooms for the Armstrong’s. Today, the Castle’s apartment quarters is a summer residence to the Armstrong family. The general public can visit sections of the castle throughout the year and the grounds are regularly used for period films as a dramatic backdrop. Views across the countryside from the top of one of Bamburg’s watch towers. It is free to travel around the grounds and surrounding coastline where many locals walk their dogs and have picnics. On a warm day, the sun is shining and behind the sand dunes, groups cluster to enjoy the views. On cooler days, the wind is gusty and cold with spectacularly clear skies right to the horizons edge. From inside the grounds it is easy to see where renovations from the original structure took place. Tickets for the Castle are available for 10 pound and include an audio file. Here, as you wander around the 14 large-scale rooms, you can learn about the great history of the region and the Armstrong family. Strangely, even family photos up to the present day are on display across many of the rooms. The Clock tower tearooms offer a variety of traditionally British lunches from Ploughman’s to Devonshire. Although a little expensive, the quality is superior. 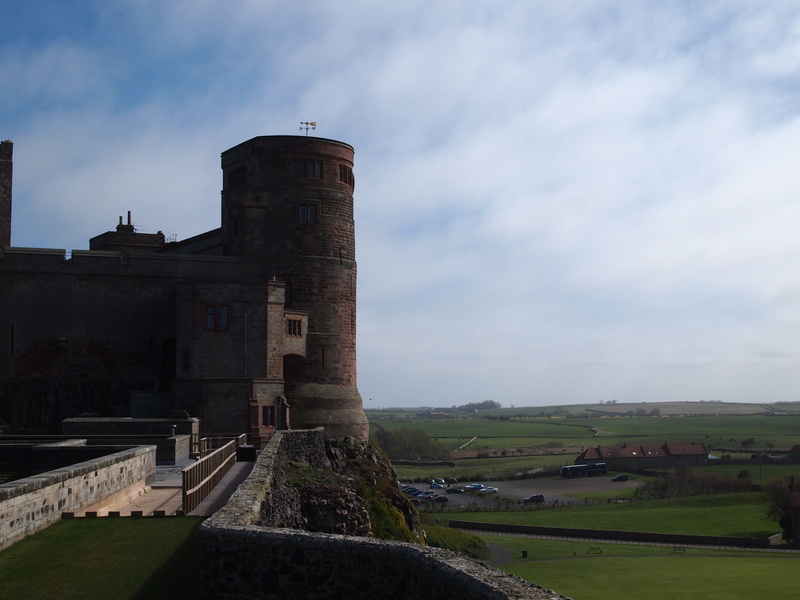 Bamburgh Castle is a great day trip that avoids the aches and pains of heaving tourist areas. Overlooking the beach from the Castle. 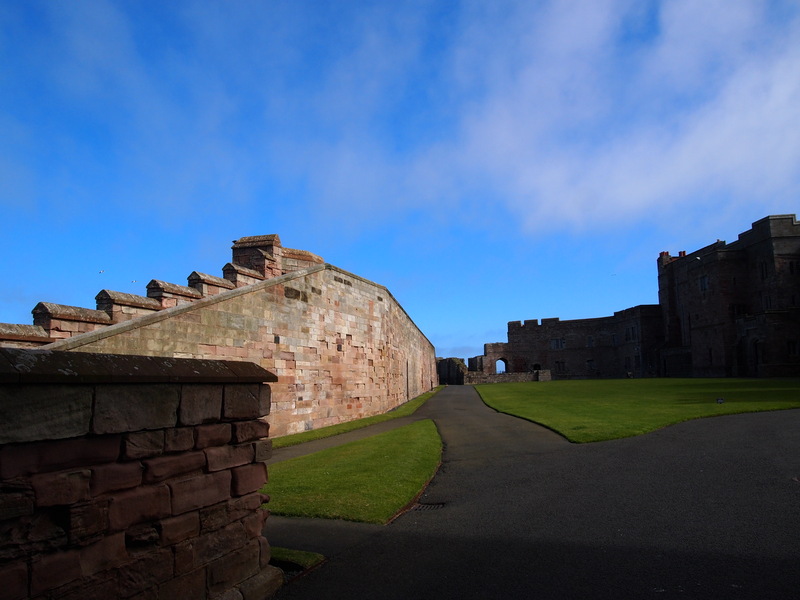 Bamburgh Castle, Bamburgh, Northumberland NE69 7DF is open all year round.